GARRETT Turbett’s day job is as a health consultant for the NHS, which gives the impression of a rather sensible soul. 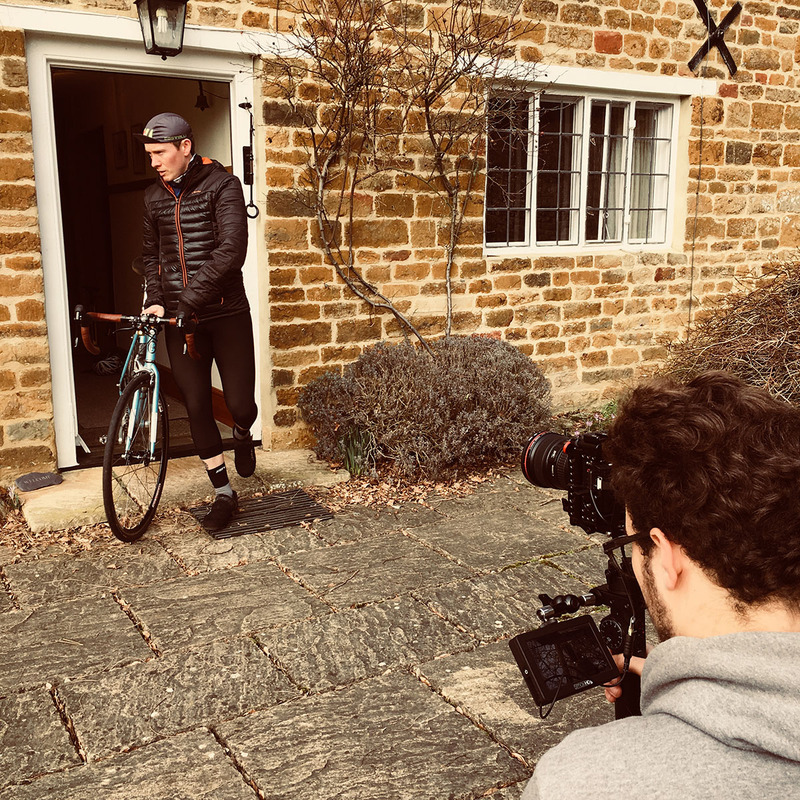 Alas, his alter-ego is quite the opposite and his spare time is taken up with far more exciting adventures, including his latest plan latest in a long line of hard-core sporting achievements is to ride the iconic Paris-Roubaix on a single-speed Quella. As a youngster, Garrett was sports mad. He loved boxing, martial arts and biking and was also heavily into his triathlon. Disaster struck aged 22, when he was involved in a life changing motorbike accident leaving him with serious neurological nerve damage. 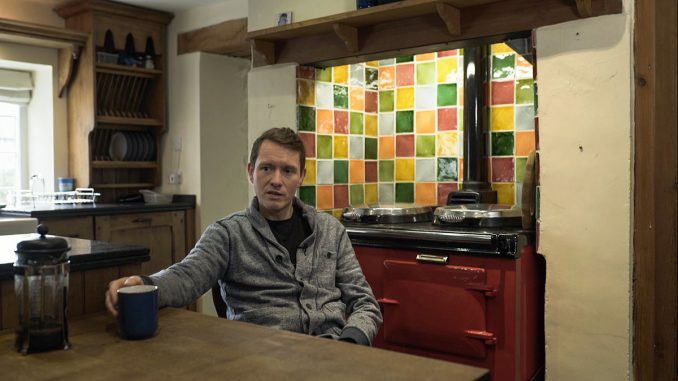 Following several surgical procedures, Garrett regained 25 per cent usage of his left arm. This included his ability to grip with his fingers. Getting back on the saddle was a painful exercise and included relentless training efforts, as well as continuous falls on his way to regain his balance and master two wheels again. While he has just enough grip left to clasp the brake hood, he is unable to stand up on the pedals or push back against his body when climbing or accelerating. Not ideal for swimming, cycling or running, so it was at this point that he decided to really get into competing triathlon. Sixteen years on, Garrett has represented his native country of Ireland in elite level internationals, including seven ITU World Cup and World Series Events, as well as three ETU European Championships and a World Championship, where he achieved various top 10 finishes. Garrett has also taken part in several ultra-marathons, marathons and countless challenging bike races. He is the first to admit that there were dark days after his crash, but his love of sport and the realisation that he could still compete in a range of disciplines at the highest level saw him through and allowed him to achieve what he has to date. 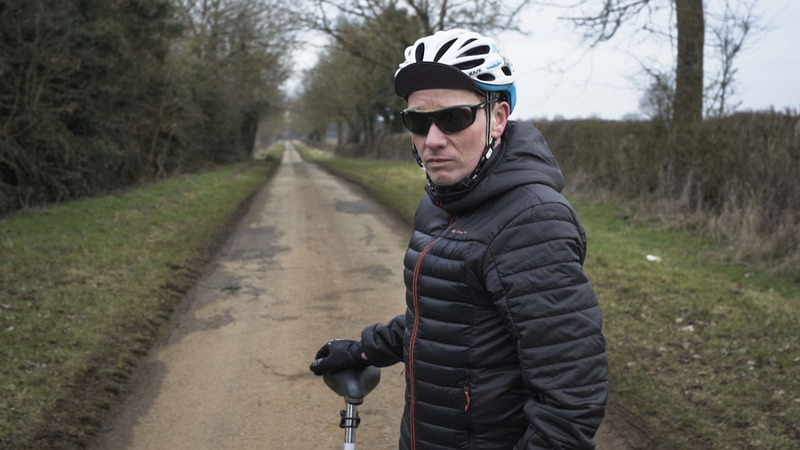 Now 38 and retired from elite and representative sport, Garrett is always on the hunt for a unique challenge and, for some very strange reason, doing Paris-Roubaix on a fixie appealed. Paris-Roubaix has a number of charming nicknames, including ‘Queen of the Classics’ but the one that resonates is ‘The Hell of The North’ due to the brutal nature of the unforgiving cobbled sections. Bernard Hinault fell seven times on the way to his second win in 1982. At the finish, he declared: “Paris–Roubaix is plain stupid”, that’s the clean version anyway. Many other champions of the sport have failed on the way with broken wheels, broken bikes, broken bones and broken spirits, which are as much a part of the history as the heroics of the riders. The toughest cobblestone sections are very unevenly paved with up to nine inches of difference between the sides and the middle, taking skill, determination and a good dose of luck – not to mention a small dose of madness just to get through them. To make matters worse, there are lots of them of them – 55 kms of them to be precise, which is about 20 per cent of the race and far exceeds any other cobbled classic. Some of the sections are little more than farm tracks, which explains why the peloton tends to spread out with riders finish in dribs and drabs, looking like they have just finished a mud-wrestling competition. Pro-riders often use specially adapted bikes with extra frame flexibility to see them through the race. Recent years have even seen new forms of suspension introduced into road bike frames. So, what is the weapon of choice for our intrepid hero? 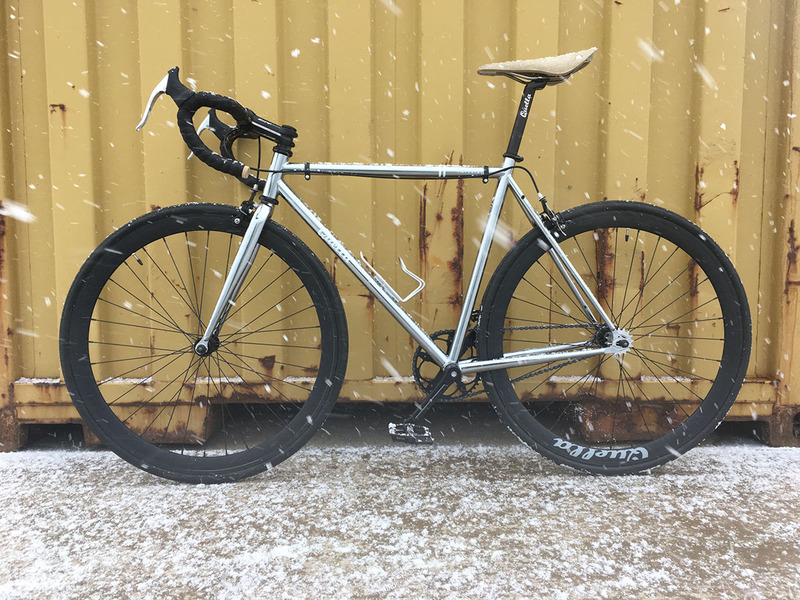 A Quella Varsity, steel framed, single-speed, with track geometry of course. 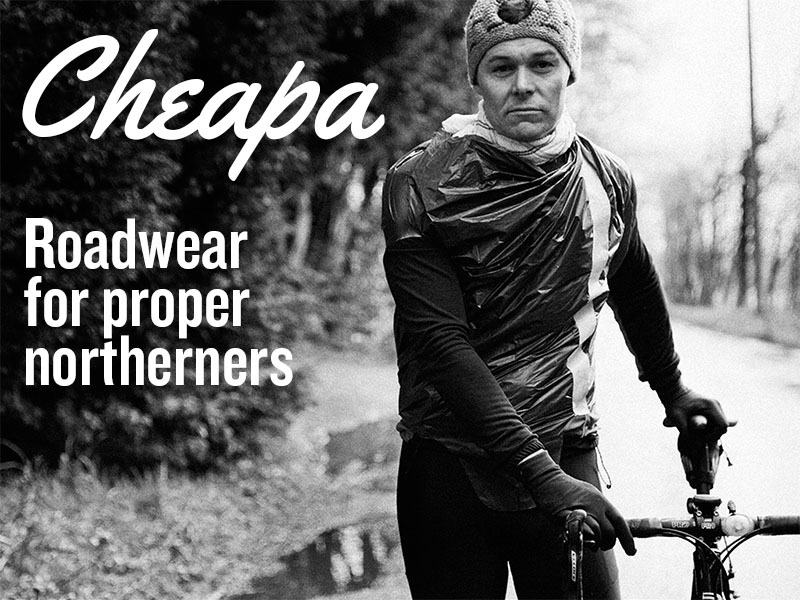 He has been riding a Quella fixie as a training and commuter bike for years. He has gotten to know the team and felt that the ‘back to basics’ approach was what he fancied to emulate. Chris Pengilley, managing director at Quella, said: “We are absolutely chuffed that Garrett wants to ride this race on a Quella bike. 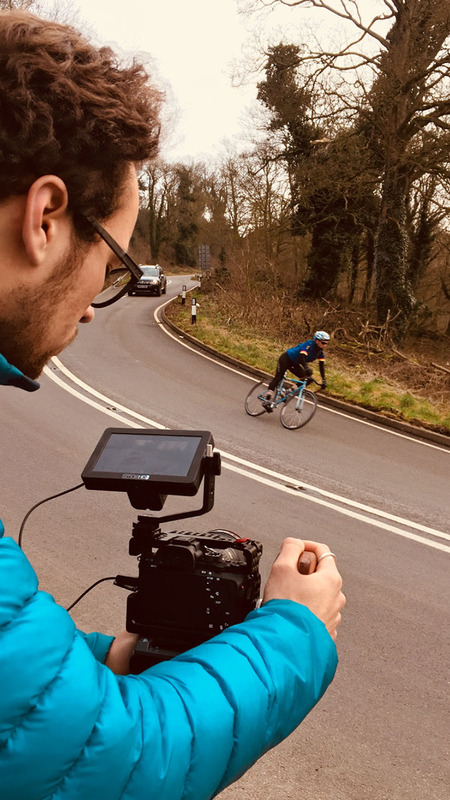 From his training to race day we are filming the story. “We have been working with Garrett to get the bike prepared to tackle the cobbles and we will be there on the day to support him. It has been an absolute pleasure getting to know him and adapting a Quella bike for his needs. 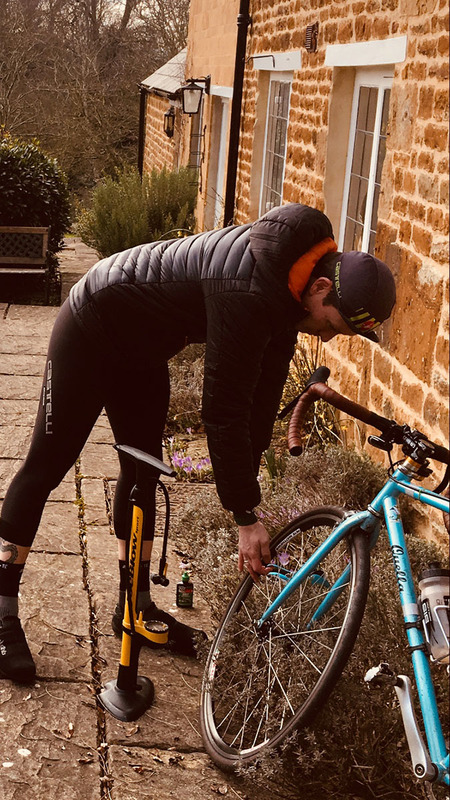 “Due to Garrett’s arm injury, he cannot brake on the left-hand side, so we will use a small fixie-style, bar-mounted brake on the right-hand side and leave the disconnected hooded lever in place on the left to rest the palm of his hand upon. “We have fitted a 400mm set of drop-handlebars and a 100mm bar stem to the bike to give Garrett extra stability. We have also fitted an incredibly comfortable Brooks Cambium saddle, ideal for Garrett who cannot stand up on the pedals and will be sat throughout, even over the most bumpy cobbled sections. Garrett isn’t planning to win it, he wants to finish in a decent time and prove that a para-athlete can get the job done with two strong legs and a single gear. The race ends in the famous Roubaix velodrome, which will be a little bit closer to his Quella bike’s roots. Chris and the Quella crew will be nervously anticipating his arrival. Sounds like an amazing challenge, particularly the cobble stones. However, Garrett and the Quella bike will, I’m sure, be up to it. Good luck, Garrett! Just take a bit of care! Great challenge, just hope you finish safe and sound and enjoy that well earned Guiness! Great bloke, great bike…I was just looking at 234 emails and feeling sorry for myself – not any more. Inspirational. Really inspirational story – good luck Garrett, will be cheering you on all the way!